Henry came to visit me. He said I’m leaving John. can carry me so far. to Phoenix. I made coffee. Like John’s. The stench of feathers. 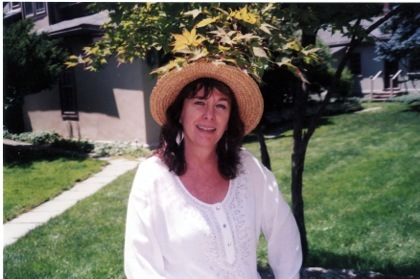 Katharyn Howd Machan, Professor of Writing at Ithaca College, holds degrees from the College of Saint Rose, the University of Iowa, and Northwestern University. Her poems have appeared in numerous magazines; in anthologies/textbooks such as The Bedford Introduction to Literature, The Best American Nonrequired Reading 2013, Early Ripening: American Women’s Poetry Now, Sound and Sense, Writing Poems, Literature: Reading and Writing the Human Experience; and in 31 collections, most recently H winner of the 2013 Gribble Press national competition. In 2012 she edited Adrienne Rich: A Tribute Anthology (Split Oak Press). Wild Grapes: Poems of Fox is forthcoming from Finishing Line Press. I was familiarizing myself with Sliver of Stone and I found your moving poem. It–and my own sense of Berryman–will linger today now. Beautifully done.